A light and airy design! 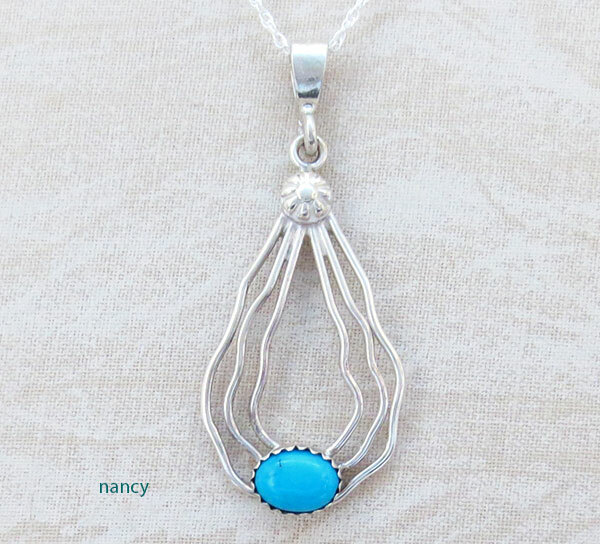 A beautiful design in pendants handcrafted by Navajo artist Murphy Platero. 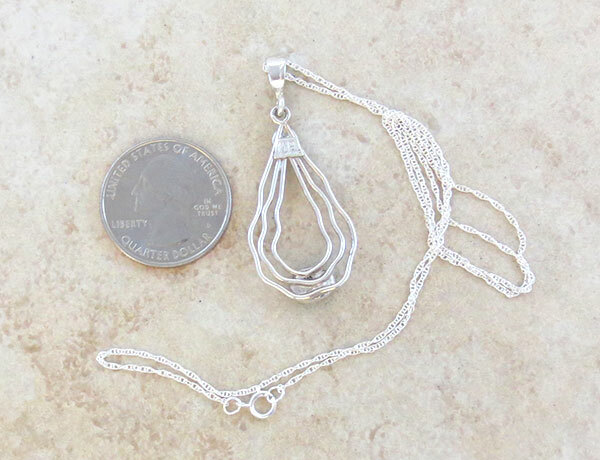 This sterling silver curvy wire pendant is light and airy looking and hangs nicely when worn. 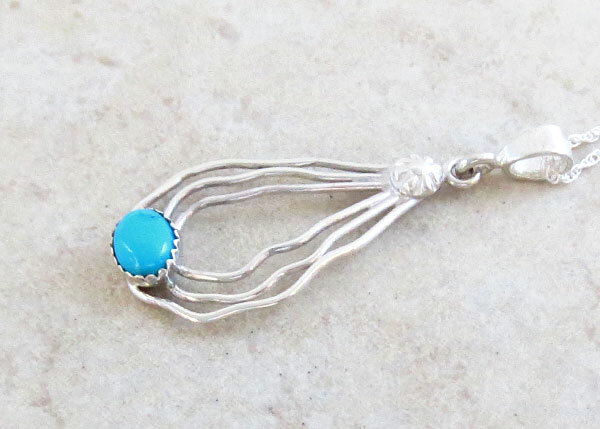 It has a small bright blue Sleeping Beauty Turquoise cabochon. as well as silver concho like buttons near the top for that added detail. At the time of this listing I have 4 pendants and all the stones are the same bright blue. It's marked sterling and signed MP. Overall including bail it's 1 3/4" tall by 3/4" wide. Pendant weight: 3 grams on my scale. The Sleeping Beauty mine is located near Globe, Arizona. Its turquoise is noted for its solid, light blue color with little or no matrix. 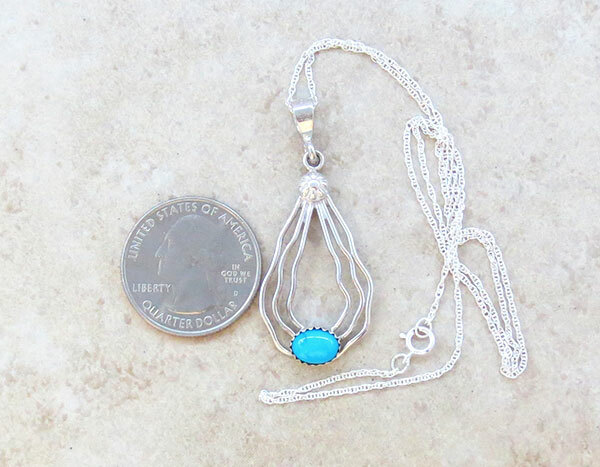 Sleeping Beauty turquoise is the favorite of the Zuni Pueblo silversmiths for use in petit point, needlepoint, and inlay jewelry. This mine is one of the largest in North America and is still operating. Update: The mine has been closed to turquoise mining since august 2012.